The skilled migration category applies to people who are highly skilled, under 45 years of age, have a high level of English-language ability and can quickly make a contribution to the Australian economy. Offshore General Skilled – For applicants outside Australia. Onshore General Skilled – For overseas students currently studying in Australia. Onshore New Zealand Citizen – For New Zealand citizens currently in Australia. Business Owner – For owners or part-owners of a business. Senior Executive – For senior executive employees of major businesses. Investor – For investors and business people willing to invest in Australia. Business Talent – For high-calibre business people who have sponsorship from a state or territory. Distinguished talent visas are designed to attract people who wish to settle permanently in Australia and can demonstrate an internationally recognised record of exceptional and outstanding achievement in academia, the arts, a profession, research or a sport. 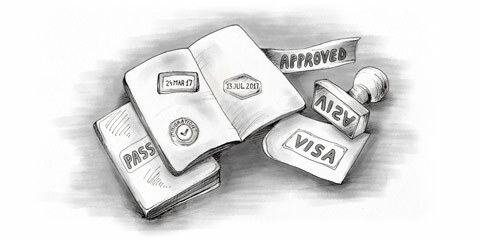 You can apply within or outside Australia; if you apply within Australia, you must already hold a qualifying visa. The employer nomination scheme (ENS), formerly the more appropriately titled employer nomination visa, was developed to allow Australian employers to recruit highly skilled, permanent staff from abroad (or temporary residents currently in Australia), when are unable to fill a vacancy from within the Australian labour market or through their own training. The employer must complete a form (785), Employer Nomination under the Employer Nomination Scheme, pay a fee, lodge the nomination at a departmental Business Centre in Australia, and meet certain standards. A points test applies to certain categories of skilled migrant. The points test aims to ensure that the principal applicant has the skills and other attributes necessary to allow him quickly to enter the Australian workforce, and support himself and his family without relying on the Australian government. Only one spouse is assessed and either partner can be considered a principal applicant for the points test, so couples should choose the partner with the better prospects of scoring sufficient points. Points are awarded for age, Australian qualifications, English-language ability, occupation demand, relevant work experience, the region you’ve lived and studied in (in certain cases), and your own and your spouse’s skills. Bonus points are awarded for ‘acceptable evidence’ of one of the following: capital investment in Australia, Australian skilled work experience or fluency in one of Australia’s major community languages other than English. You must score sufficient points to reach the pass mark for your category. If your score is below the pass mark but equal to or above the pool mark, where these are different, your application is held in reserve (in the pool) for up to two years after assessment. If the pass mark is lowered at any time in the two-year period, and your score is equal to or higher than the new pass mark, your application is processed further.